Unlike the Professional Scrum Master (PSM I) course which focuses on how to use Scrum, the Scrum framework and the role of the Scrum Master, PSM II is an advanced course which helps students to understand the stances that characterize an effective Scrum Master and servant-leader. 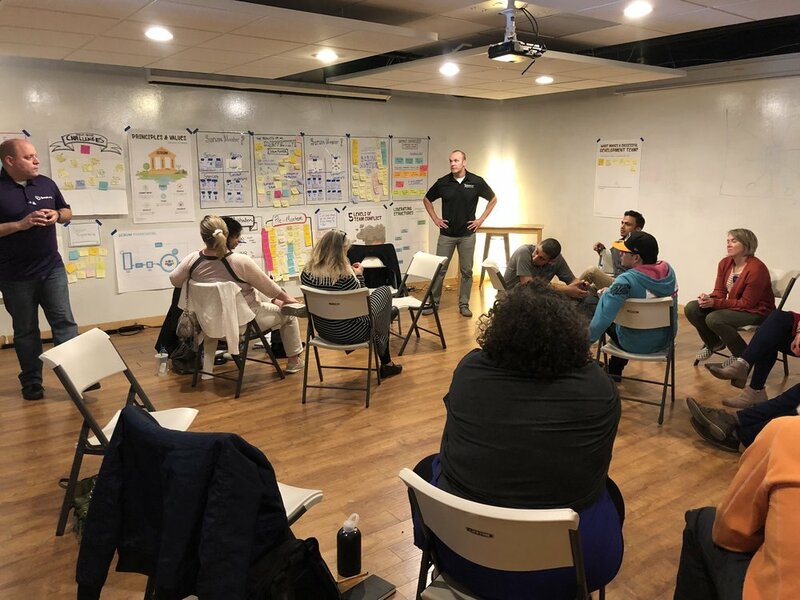 The class dives deep into how Scrum Masters serve the Scrum Team, Product Owner, and the organization. The main contrasts are a focus Roles, Scrum Values, Getting to Done, Facilitation Techniques, Leadership Styles, Coaching, Mentoring, Organizational Design as well as an excursion into evidence-based management. Students will learn about areas critical to growing as a successful Scrum Master such as how the principles and values of Scrum help guide Scrum Masters in the decisions they make and how the Scrum Master can help change the environment of Scrum Teams, creating the conditions for agility to thrive. Students will also explore related practices and skills which will enable them to have the right types of conversations and how to apply them to become better Scrum Masters. Throughout the class, your trainer will provide stories, exercises, facilitation techniques (such as “Liberating Structures”), resources, and more. The Professional Scrum Master II (PSM II) course is an advanced Scrum Master class designed to support Scrum Masters in their professional development. After the class, students are eligible for the PSM II assessment certification. If you pass the assessment, you will gain the industry recognized PSM II certification. This certification will NEVER expire, and it makes you part of an smaller community of less than 1,800 PSM II badge holders worldwide that achieved the advanced professional Scrum level. All participants completing the Professional Scrum Master course will receive a password to attempt the Professional Scrum Master II (PSM II) assessment. You are also entitled to a 40% discount on the PSM III assessment.